Werner Electric is one of YSB’s newest partners, and we thrilled! 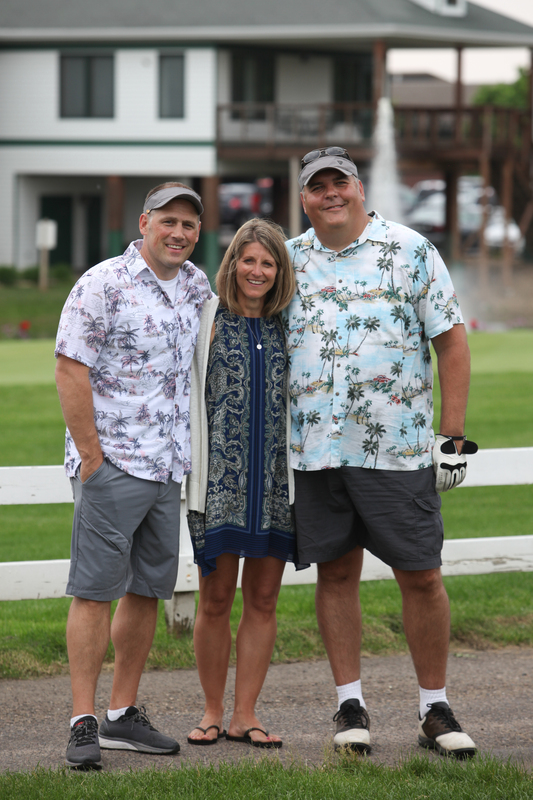 On July 21, 2018 at Stonebridge Golf Course, Werner hosted their Charity Golf Outing benefiting YSB – raising $8,130! Support like this helps YSB provide services to all those that need them, regardless of their ability to pay. Werner and YSB are working on a Partnership Path that will include education and support for the communities that they serve, and the employees and their families of Werner Electric. Thanks Werner Electric and we look forward to a long and meaningful partnership! 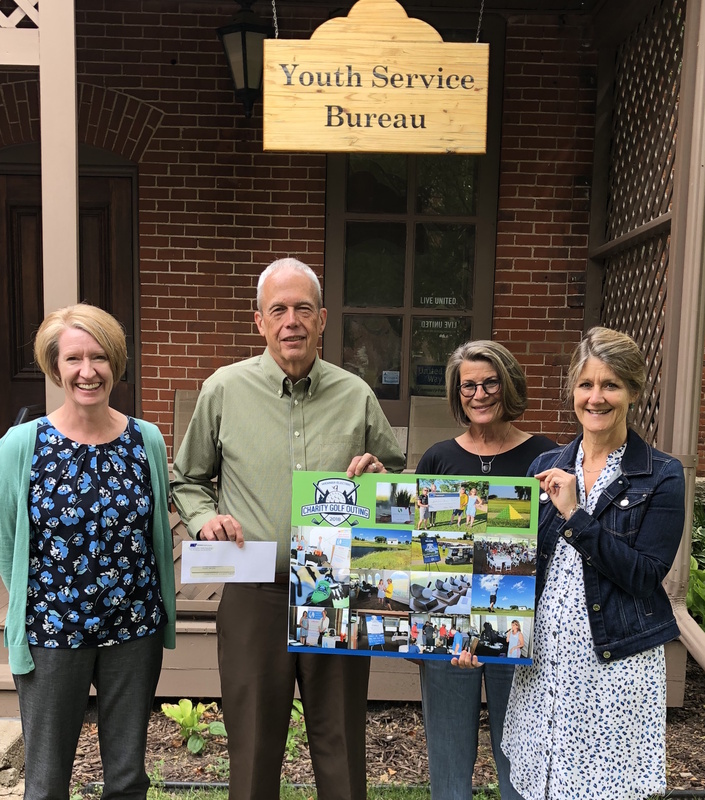 In photo, left to right: Merri Guggisberg, YSB Youth and Family Education Coordinator, Bob Sherman, YSB Executive Director, Cynthia Bennett, Werner Electric Strategic Marketing Manager, Andree Aronson, YSB Development Director. Joe Slavin Memorial Golf Tournament benefits YSB and increases Mental Health Services in area schools! Joe Slavin was the principle at Skyview Middle School in Woodbury, Minnesota. Joe died by suicide June 7, 2017; his family and friends wanted to do something powerful to raise awareness about mental health and the need to talk openly about mental health concerns. Picture: Darcy Hagar-Slavin, Kevin Wolff (Principal – Maplewood Middle School), and Travis Barringer (Principal – Skyview Elementary). All proceeds from this event ​were donated to YSB and Canvas Health, mental health service providers that directly impact the schools in ISDs 833 and 622, school districts that were dear to Joe’s heart, family, and friends. “We are here today to raise awareness for the need for mental health in our community and to break down the stigma related with mental illness. A mental health condition is a medical illness, just like a physical condition. If you break your leg, you do not hesitate to seek treatment. We are grateful for the Slavin family and friends for reaching out and choosing YSB as a beneficiary of their event. The funds raised will provide mental health education to students, staff, and families in the ISD 622 and 833 communities. Summer has finally arrived, and everyone is able to enjoy the beautiful weather here in Minnesota. With the sun giving us extra time in our day, we have the opportunity to stay out longer but still need to remember the curfew requirements for youth in our community. Local police departments report an increase in juvenile concerns after curfew hours. If juveniles are out past curfew they are more likely to be committing crimes or being victims of crimes. Curfew is put into place to provide safety for the youth in our community and help reduce crime. There are some exceptions given the circumstances of the situation. Examples such as being with a responsible adult, going or returning from work, an emergency, attending a supervised event in the community, or had written permission from a parent. What if my child doesn’t follow the curfew? Your child may receive a citation from local Police if they are out during prohibited times. The Youth Service Bureau offers services for youth and families when a child may not be abiding the curfew times, or may be struggling with other concerning behaviors. Contact one of our 3 offices to find out more. We hope you encourage your children to make safe choices and enforce the curfew in our community.